Here is a very bewitching and hypnotic blend of 20th-century classical Arabic orchestral music and current 21st-century electronics and song-writing and composition methods, representing a dialogue between Western and Middle Eastern music standards and expectations that collapses barriers to understanding and invites people from two major cultural regions of the world to share experiences, ideas and hopes for a better world. Jerusalem In My Heart (hereafter abbreviated to JIMH) is an audio-visual project of musician Radwan Ghazi Moumneh and film-maker Charles-André Coderre; originally the duo concentrated on live audio-visual performance work but in recent years have moved towards studio albums, of which “Daqa’iq Tudaiq” is their third such album. The album seems to be shaped very much by the old division of shellac and vinyl-based record discs into two sides: the music itself is split into two distinct and more or less equal (in length) parts, both experimental in their own ways. The first half of the album is given over to a re-creation of “Ya Garat el Wadi”, a song by Mohammed Abdel Wahab, a famous 20th-century Egyptian singer, musician and composer who among other things wrote musicals, national anthems for Libya and the United Arab Emirates, and introduced Western rhythms into classical Arabic music. The song is realised in a four-part series of songs under the name “Wa Ta’atalat Loughat al Kalam”: for this, Moumneh brought together a 15-piece classical Arabic orchestra and enlisted fellow Canadian compatriot Sam Shalabi (himself an oud player and electronics experimentalist who leads his own group, The Shalabi Effect) as arranger and musical director for the session. The result is a very languid and highly immersive excursion, highly expressive of longing and sorrow, into a lush and lazily mellifluous sonic universe that makes much use of traditional maqam melodic structures in Arabic music. Moumneh himself, using and rearranging the original song’s lyrics of love written by 20th-century poet Ahmad Shawqi, sings of the possibility / impossibility of love in a world that perhaps no longer knows what love is, and where the Arab peoples have been forced by politics, religion, ideology and foreign invasion and colonisation to spread far and wide, at risk of losing contact with one another and being submerged into other categories and identities inimical to their common cultural interests and histories. As Part 1 passes into Part 2, the music seems to pass into a more ethereal, psychedelic realm and the listener may be transported into another dimension of being and existence. The singing is shrouded in more layers of reverb and while this sends Moumneh’s vocals into a state of mystical unreality, any emotion tends to get lost. A lot of traditional classic Arabic music of Mohammed Abdel Wahab’s era has a very raw edge, especially the singing, and is very apt to go off on tangents of improvisation, and we don’t get a sense of this sharp, often painful raw quality in the music. The music and singing tend to stay on an even keel throughout and can feel rather remote. When it ends, I feel that there’s a lot in this tetralogy of music and singing that remains dormant, its potential for true transcendence unrealised. 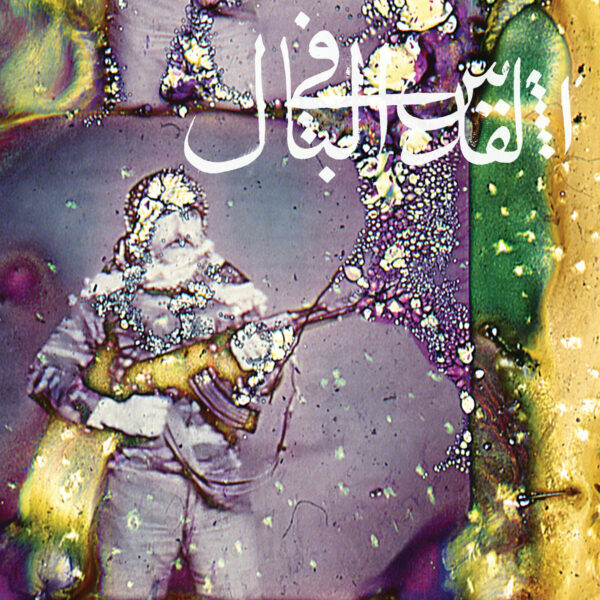 The second half of the album is taken up with four experimental tracks that deconstruct and reconstruct sonic and structural elements of Arabic orchestral music through repetition, looping and/or taking them to their extreme sound range where they turn into noise or near-noise. “Thahab, Mish Roujou’, Thahab” processes Moumneh’s vocals into a stunning low-droning dirge-like piece. “Layali al Rast” is a highly impassioned solo oud instrumental which should interest lovers of lead guitar solo works. It’s a lovely recording but I’m left with a nagging feeling that this album could have been far more than it is.